Gucci sweatshirt in felted jersey. Blue/red/blue web bows at front patch pockets. For in-store inquiries, use sku #2251712. 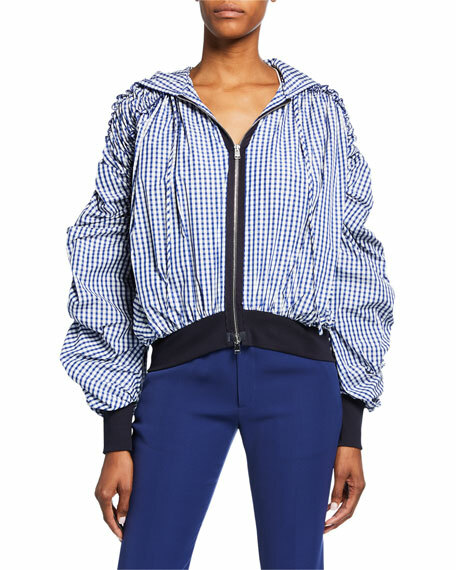 ADEAM sweatshirt in gingham water-resistant taffeta. Hooded neckline; two-way zip front. Ruched, voluminous sleeves. Ribbed hem and cuffs. Cropped above hips. Polyester. Machine wash. Made in Japan. ATM French color-washed French terry hoodie. Approx. 28.5"L down center back. Hooded; two-zip front. Long sleeves. Front patch pockets. Rounded hem. Long, slim fit. Cotton. Made in Peru. 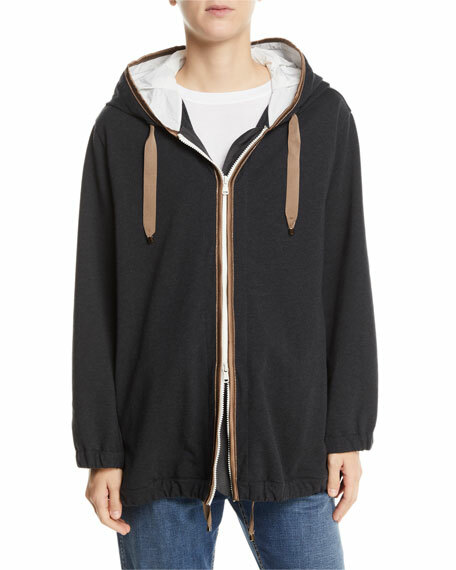 Brunello Cucinelli sweatshirt hoodie with silk trim. 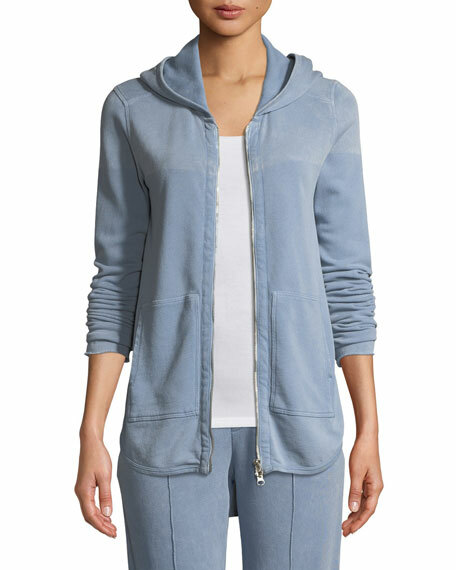 Hooded neckline with drawstring; two-zip front. Long sleeves. Oversized fit. Drawstring hem. Cotton/spandex. Lining, acetate/silk. Made in Italy. Model's measurements: Height 5'10"/177cm, bust 31"/79cm, waist 24"/61cm, hips 34"/86cm, dress size US 0/2.